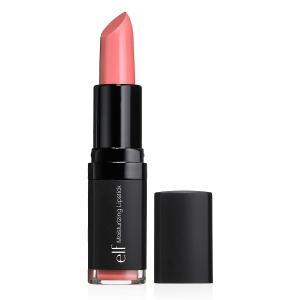 I am a big fan of e.l.f cosmetics (eyes lips face if you didn’t know!) I feel like they’re affordable and are a great brand. I would say the products I usually go for are low end to mid range kind of prices, which is what most of us are looking for! I decided to share with you guys some of my favorite e.l.f products so that you guys can see what I use and maybe even find some inspiration for yourself! 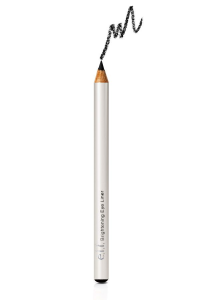 This eyeliner is literally a dollar. One dollar. Okay so it doesn’t stay all day long and it isn’t smudge proof but, for a dollar who could complain? It also comes in an array of colors so, it’s awesome. I have a million and one eye shadows but, the color ‘Wine Not’ and ‘Coco Cutie’ have to be up there with my favorite colors. Despite having eye shadow palettes worth up to 30 dollars, for 3 dollars these colors match up to the expensive palettes. 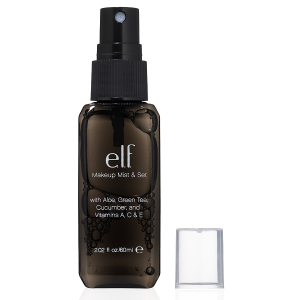 Everybody seems to love this setting spray. It’s so so so cheap and is a best seller on their website. It does its job and is super affordable. Yes please! Once again this is a best seller on the e.l.f website. No wonder why. It’s a dollar, yes one dollar for 50 oil blotting sheets. How could anyone ever pay well over 10 dollars again for some oil blotters??? 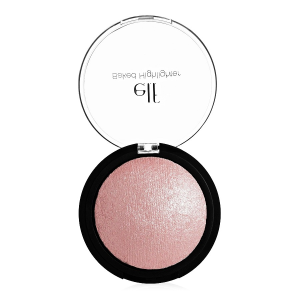 This gorgeous little highlighter is a best seller, it’s three dollars oh, and it won an award. It comes in three super cute shades and is loved by hundreds and hundreds of people because of it’s awesomeness. I hate to say it (not really i’m just trying to be dramatic) but, this brush is amazing. When there are brushes out there that do exactly the same thing that are so expensive compared to this little beauty, it’s shocking really. Of course a makeup artist probably wouldn’t use it but, there’s no reason why we can’t? It’s ultra cheap, it comes in a ton of shades and everyone loves it. The only problem was of course it’s not as pigmented as expensive brands and nor does it stay all day long but, it doesn’t even claim to do that! It’s all round cheap, worth it lipstick. This eye shield is a little bit of a novelty but, amazingly handy. It stops eye shadow ruining your makeup by being splashed under your eye and it it stops mascara being blotted on to your eyelid. For how cheap this product is there is nothing bad to be said about it. 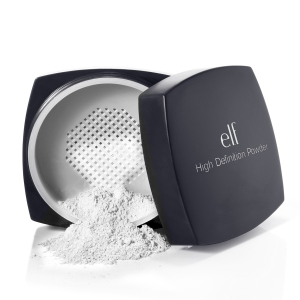 I would use it as a translucent powder, apply it after your foundation and concealer to create a matte look. It seals in your makeup and doesn’t make you look like a ghost in photos. I hope you enjoyed My Favorite e.l.f Products! if you did please let me know in the comments below !